Hanukkah is coming up, and what better way to usher in the holiday than with a homemade holiday card! Let your first grader get creative coloring the card, then help him craft a handwritten note on the inside. Get into the spirit of Hanukkah with your child by making a homemade card featuring a menorah and classic Hanukkah treats. 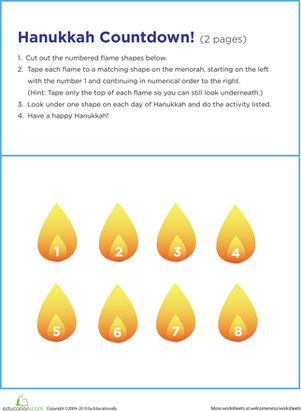 Share warm wishes this Hanukkah with a coloring page that turns easily into a greeting card! Hanukkah stamps help you decorate anything from cards to gifts to wrapping paper. 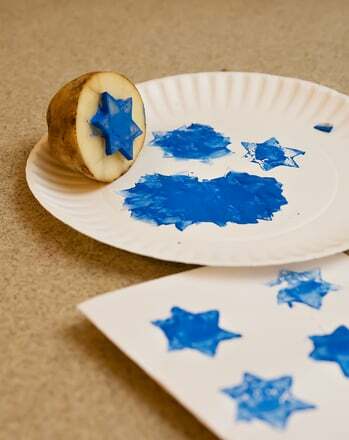 Make your own Hanukkah stamps out of potatoes. 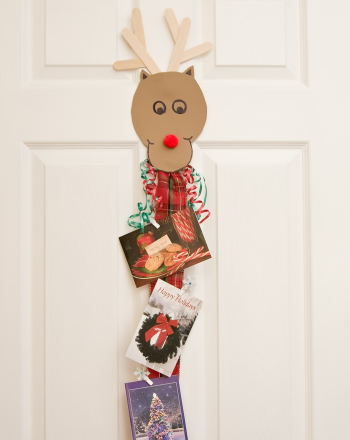 Hanukkah gift tags add a special something to your holiday presents. Print, cut, and color Hanukkah gift tags with your child this winter. Say "Happy Birthday" the creative way, and color a homemade card for someone on their special day!